Celebrating 25 years of service to the elderly with an Irish Festival. In the early 1990s, the Sisters of Mercy in Arkansas found a way to provide a retirement home for themselves while ministering to others. With funding from the Sisters’ retirement fund under the guidance of Sister Judith Marie Keith and Sister Stephanie Miller, the dream of McAuley Convent was expanded to include a 62 unit retirement centre that was opened to the public. 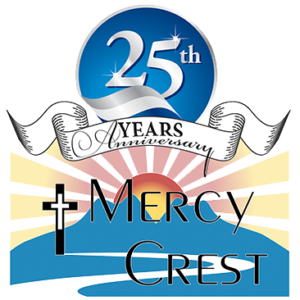 Dedicated on September 24, 1992, Mercy Crest was a new concept and the largest retirement community that the Sisters of Mercy had built in this region. An additional 40 apartments were added in 2004 bringing Mercy Crest to its current size of 102 apartments. In 2012, Mercy Crest doubled the dining and activity space to allow for larger group activities. 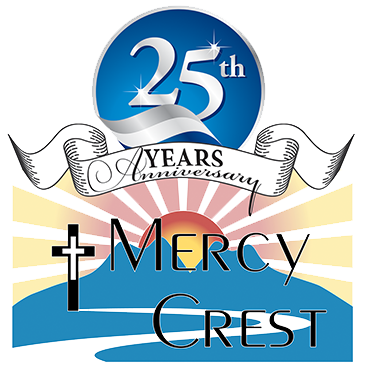 Through a deep desire to help the marginalized poor and seeing the need for affordable care for the elderly, Mercy Crest became an Assisted Living Level II facility in July 2005. This certification afforded Mercy Crest the opportunity to admit Medicaid eligible residents who had a very limited ability to pay. With the addition of a gym, Mercy Clinic and a Restorative Care Program, Mercy Crest continues to explore opportunities to expand services that meet the needs of the growing elderly population. On October 28, 2017, Mercy Crest and McAuley Convent celebrated our 25th Anniversary with an Irish Festival. The celebration featured a walk through the History of Mercy, Irish music, Irish stew and other culinary treats, arts and crafts exhibits, and games for children of all ages. The Fort Smith and Barling, Arkansas communities came out to celebrate with us the Féile sa Bhaile! This Festival at Home will be the first of many to celebrate the heritage of Mercy and the ongoing mission of Mercy Crest Assisted Living.